Remember when the playoffs were going on and everyone was saying that the NBA was boring? Yea, you can’t say that anymore. Big-name free agents shook the league to its core this summer with shocking decisions that threw the NBA into a state of utter chaos. The term “Super Team” has reached a whole new meaning, and the sense of excitement surrounding the league has been restored. With most of the dust already settled, it’s time to pick up the pieces and see where teams now stand. Here are our playoff seeding predictions for the 2017-2018 season. Charlotte went dormant in free agency, only managing to ink a deal with backup point guard Michael Carter-Williams. But the Hornets made their moves before the free agency frenzy, acquiring Dwight Howard from Atlanta and drafting volume shooter Malik Monk with the 11th overall pick. Howard is certainly past his prime, but the eight-time all-star still managed to contribute a solid 13.5 points and 12.7 rebounds per game with the Hawks last season. The addition of Monk in the back court is also promising. The former Kentucky guard is arguably the best shooter in his draft class, and he’ll join a proven star in Kemba Walker. 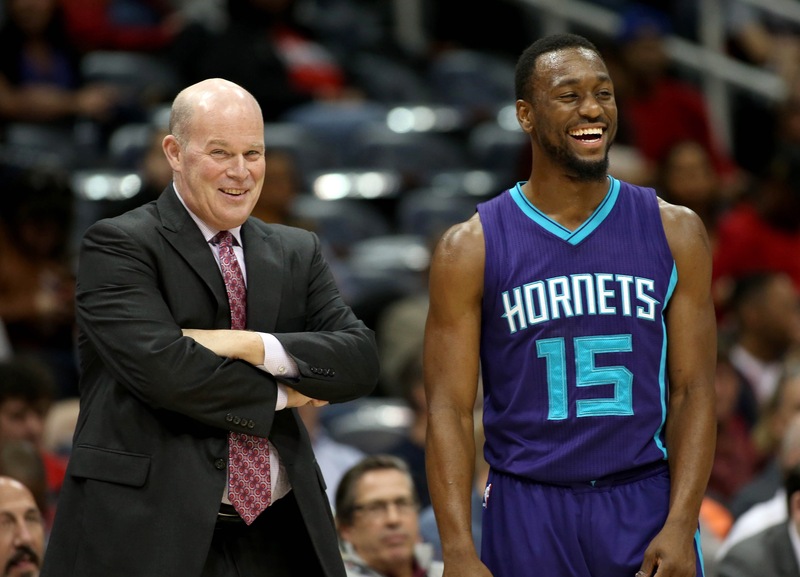 The Eastern Conference is the place to be for mid-level teams with hopes of making the playoffs, and the rebuilding efforts of Atlanta, Indiana and Chicago provides the Hornets with a clear path to the postseason. This is a shaky prediction. The talent is there for Philadelphia. 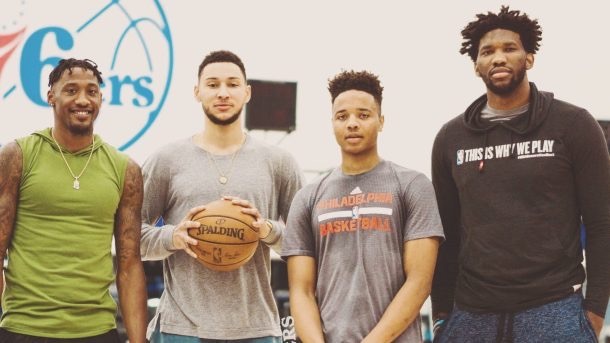 Ben Simmons, Joel Embiid and Markelle Fultz could be a dominant Big Three for years to come, but health is key. The trio has yet to play a minute in the league together. Simmons missed all 82 games of his rookie year with a fractured foot, and Embiid only played 31 games before a torn meniscus in his knee sidelined him for the season. To make matters worse, Fultz went down in the Summer League with a sprained left ankle and didn’t return. The No. 1 overall pick also suffered a knee injury last season with Washington. If they remain healthy, the 76ers could possibly work their way up to the fifth seed, but the seventh seed seems like a reasonable landing spot. And with the addition of JJ Redick and Amir Johnson, Philadelphia could be a team to keep an eye out for in the East. Miami stumbled out of the gate last season, entering the halfway point of the season with a league-worst record of 11-30. But the Heat flipped the switch in the second half, winning 30 of their final 41 games to finish with a record of 41-41. 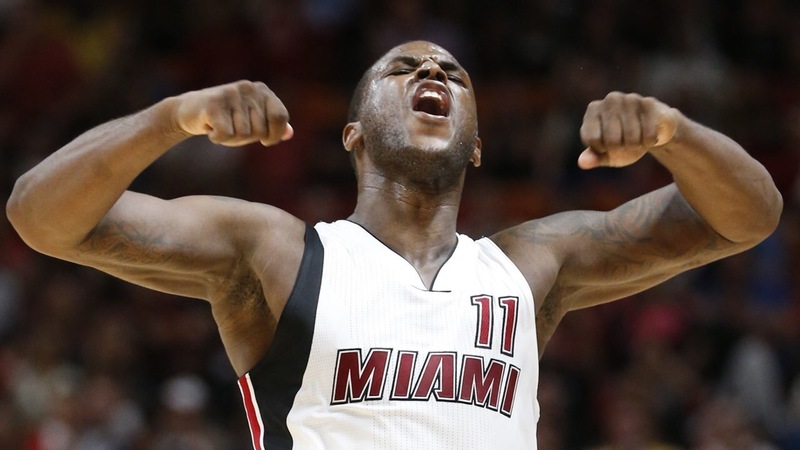 Despite just missing the playoffs, optimism is high in South Beach. Miami stuck to the formula this offseason, bringing back James Johnson and Dion Waiters, a pair of players that really broke out down the stretch last year. The Heat also inked a deal with former Celtic Kelly Olynyk. The 26-year old can stretch the floor for Miami, freeing up space in the paint for Hassan Whiteside. There’s no reason the Heat can’t make the playoffs this year if they manage to recapture their momentum from last season. Milwaukee has the luxury of hopping onto Giannis Antetokounmpo’s back and enjoying the ride right now. 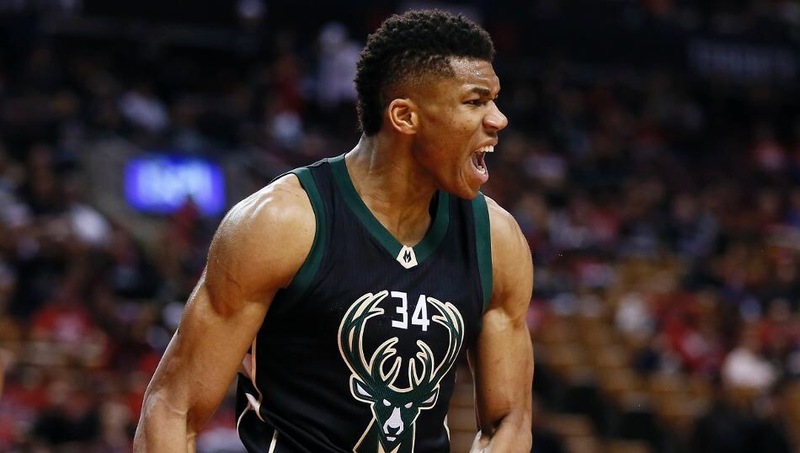 The Greek Freak is already one of the toughest matchups in the league, and the Bucks will continue to rise up the ranks as he does. With that being said, the 22-year old needs help. Milwaukee was strapped for cash this summer after Greg Monroe opted back in, so its only notable deal was the re-signing of Tony Snell. The Bucks finished with a record of 42-40 last season (good for the 6th seed), but they still haven’t quite caught up to teams like Toronto or Washington. They’ll likely replace Atlanta in the fifth spot, and that’s not bad for a team that finished 15-67 just three years ago. 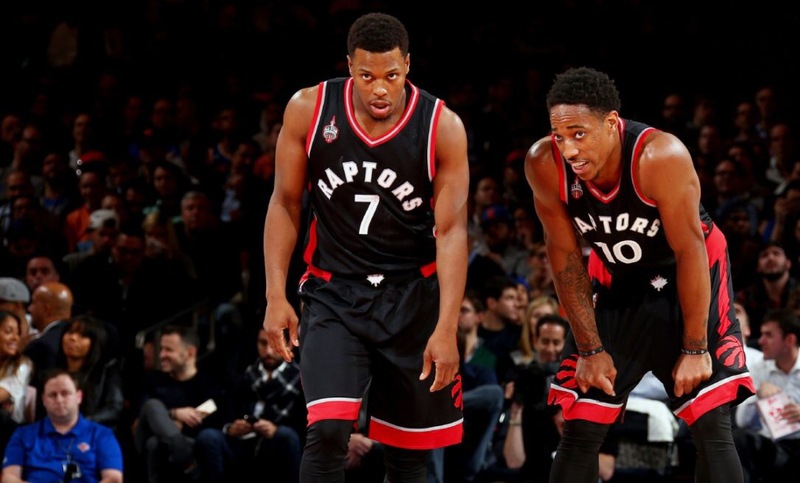 The Raptors faced a dilemma this offseason. Toronto finished with a top-four seed in the playoffs (3rd) for the fourth straight season, but they once again failed to come out of the East. With Kyle Lowry and Serge Ibaka becoming free agents this summer, the Raptors had to choose between blowing up the team or retaining their pieces for one more run. Toronto went with the latter…sort of. The Raptors re-signed both players, but they lost PJ Tucker, DeMarre Carroll, Cory Joseph and Patrick Patterson in the process. The addition of CJ Miles is a good fit, but Toronto is stuck in limbo. Sure, they’ll finish with a top-four seed once again, but what will come of it? Cleveland swept them in the Semi Finals last season, proving that the Raptors are still a ways away from actually being a threat in the East. The fourth seed is nothing to sneeze at, but one has to wonder if Raptors fans would rather just have a lottery pick in next year’s draft instead. Boston got a scare in the Eastern Conference Semi Finals last season, as Washington took them to seven games before the Celtics ultimately prevailed. The back court of John Wall and Bradley Beal is one of the best in the league, and Otto Porter Jr. is finally developing into the player everyone thought he’d be when he was picked No. 3 overall in the 2013 draft. Washington finished with a record of 49-33 last season, but rotational depth proved to be a killer for the Wizards. The Celtics’ bench outscored that of Washington by a score of 48-13 in their deciding seventh game of the series. The addition of Jodie Meeks is a low-risk-high-reward move, but it’ll take a lot more than that if they hope to compete with Cleveland or Boston. 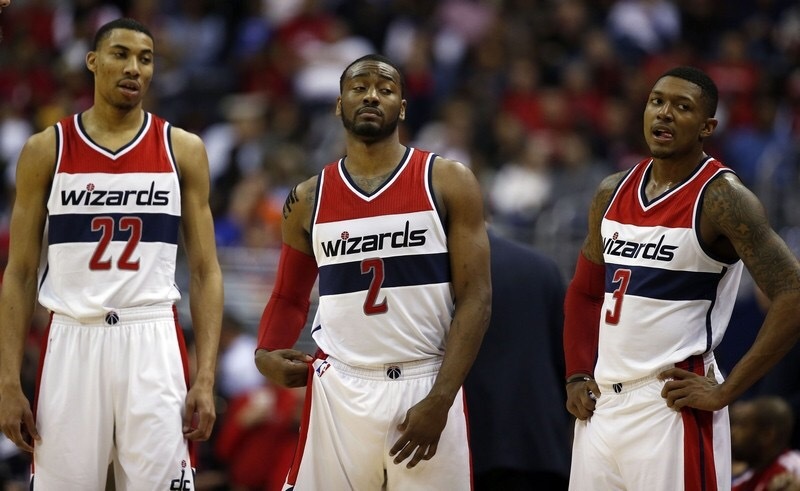 Nevertheless, the Wizards are clearly on the rise, and that momentum should be enough to propel them past a Toronto squad that’s running in quicksand. A lot has changed over the past year for Cleveland. The Cavaliers were on top of the world in 2016 after defeating Golden State and claiming their first title in franchise history. But times are different now. The Warriors have since added Kevin Durant, and they proved in this past NBA Finals that they’re on an entirely different echelon of dominance. While Golden State added pieces like Omri Casspi and Nick Young this summer, Cleveland merely retained its roster. Derrick Rose has surfaced as a candidate to sign with the Cavaliers, but that’s a modest accomplishment at best. And with tough times comes uncertainty. 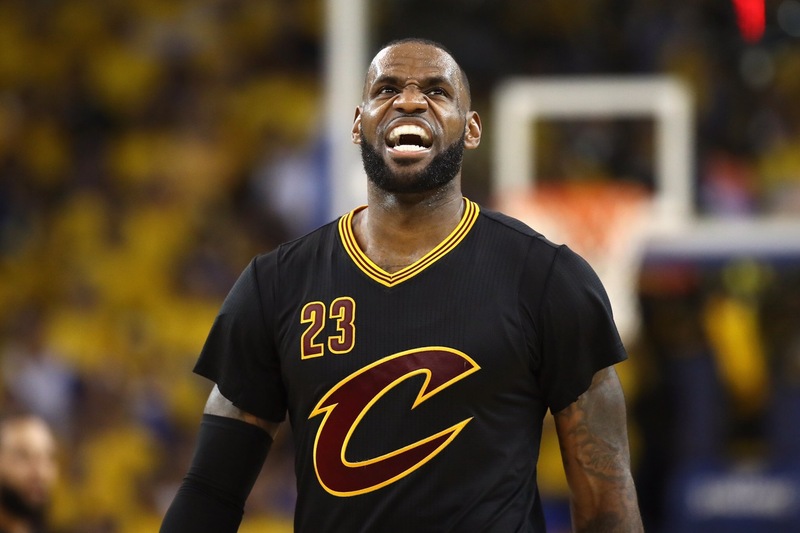 There’s a real chance that LeBron James will leave next summer, and to make matters worse, ESPN’s Brian Windhorst recently reported that Kyrie Irving wants out as well. The Eastern Conference has grown weaker with the departure of Paul George, Jimmy Butler and Paul Millsap, but that doesn’t mean Cleveland is in the clear. The Celtics are coming, and it’s looking like even the best player in the world might not be able to fend them off. The Celtics did their job this summer. Sure, adding Paul George or Jimmy Butler would’ve been monumental, but the acquisition of Gordon Hayward is still worth a round of applause. After finishing with the first seed and a 53-29 record last season, Boston seems poised to sit atop the Eastern Conference standings once again. The departure of role players like Avery Bradley, Kelly Olynyk and Amir Johnson is concerning for the team’s depth, but the Celtics have talent to spare. Both Jaylen Brown and Jayson Tatum impressed in the Summer League, and Marcus Smart emerged as yet another promising prospect when Isaiah Thomas went down in the Eastern Conference Finals. 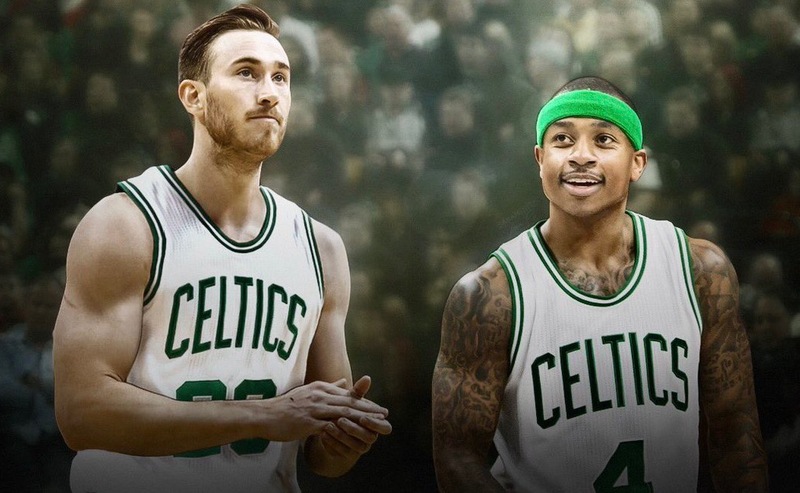 Meanwhile, Thomas and Hayward make for an elite back court. Although Thomas is a liability on defense, Hayward is actually one of the better two-way players in the league. Whether the Celtics can overpower Cleveland in the playoffs still remains to be seen, but Boston is ready to challenge the throne. The Trailblazers have an explosive back court in Damian Lillard and CJ McCollum, but that’s about it. 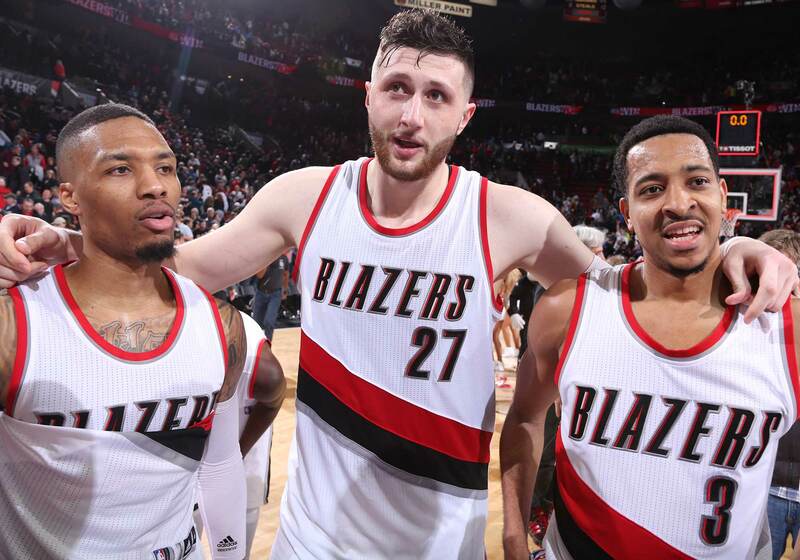 Lillard and McCollum combined for an average of 51.5 points per game in the first round of the playoffs against Golden State – half of the team’s total points. But that high level of production from the dynamic duo wasn’t enough to avoid the 4-0 sweep. That sweep speaks volumes as to where the Trailblazers stand in the NBA hierarchy. Despite being one of the better scoring teams in the league (eight-most per game last season), Portland is far from being a threat in a Western Conference that’s revamped with powerhouses. The Trailblazers’ front court did improve towards the end of the season. The team traded defensive anchor Mason Plumlee to Denver for Jusuf Nurkic, a more versatile big man with a better shot and the ability to handle the ball. Nurkic figures to assume a larger role next year, and No. 10 overall pick Zach Collins hopes to play alongside him at the center spot, although No. 26 overall pick Caleb Swanigan is beginning to look like the more promising option. The Trailblazers went 41-41 last season, and we can expect to see a similar record from them this year. They have an edge over teams like Utah and Memphis, although it’s a small one. The main concern for Utah is their lack of scoring. Gordon Hayward and George Hill combined for 39 points a night last season, and their departures leave a sizeable hole in the offense of a team that already averaged the third-lowest point total per game (100.7). Expect Portland to make the playoffs for the fifth-straight season, but don’t expect much else. Denver managed to accomplish what they’ve long failed to do: Land a big-name free agent. The Nuggets signed Paul Millsap to a three-year, $90M deal in the offseason. 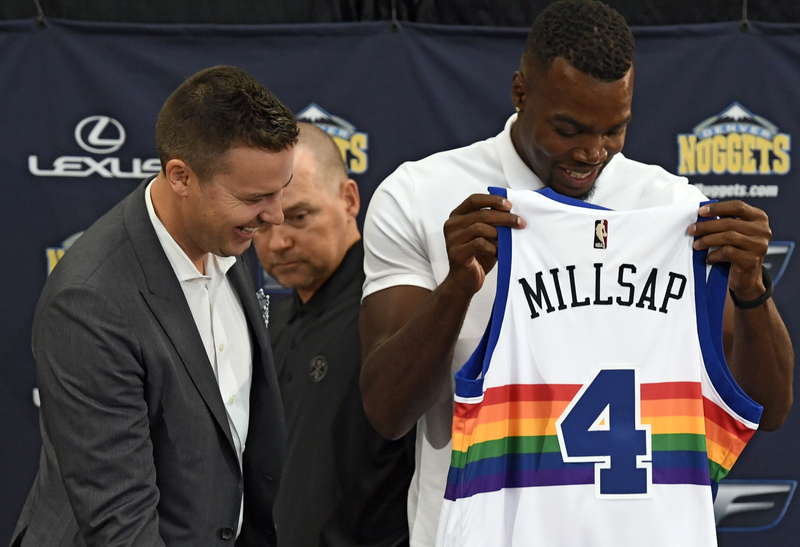 Millsap’s superb all-around game and ability to bring defenders all the way out to the three-point line is the perfect complement to prized big man Nikola Jokic. With a strong front court now in place, the focus shifts to the back court. Prospects like Gary Harris and Jamal Murray figure to become solid players in this league, but it’ll take time. Emmanuel Mudiay was thought to be an immediate impact player when he was selected No. 7 overall in 2015, but he’s struggled in the league and even seen his minutes dip from 30.4 per game to just 25.6 last season. Still, Denver looks poised for a playoff run. The duo of Jokic and Millsap is no joke, and role players like Kenneth Faried, Will Barton and Wilson Chandler provide depth to the roster. The Nuggets finished last season with a record of 40-42, barely missing the playoffs by one game. Denver will have no problem finishing above .500 this time around, and that should earn them a spot in the postseason. The Clippers handled the departure of Chris Paul about as well as one could hope, acquiring a slew of strong rotational players in the process. Los Angeles received NBA All-Defensive First Team guard Patrick Beverley, Sixth Man candidate Lou Williams, Sam Decker and Montrezl Harrell, along with others. The departure of the best pure point guard in the league is a tough pill to swallow, but with Blake Griffin and DeAndre Jordan still in the mix, Los Angeles is very much alive. The team also received Danilo Gallinari in a three-team deal that shipped Jamal Crawford off to Atlanta, creating an interesting three-headed monster of Griffin, Jordan and Gallinari. Former Golden State GM Jerry West is now pulling the strings in Los Angeles, and the word “rebuild” isn’t in his vocabulary. The Clippers won’t be able to claim the four seed like they did last season, but they’ll still be playing in late-April. No team surprised us all this summer more than Oklahoma City. The Thunder pulled the trigger on a blockbuster trade that sent Victor Oladipo and Domantas Sabonis to Indiana for four-time all-star Paul George. It’s a move that propels Oklahoma City back into the NBA spotlight – somewhere they haven’t been since the departure of Kevin Durant. But the team didn’t stop there. The Thunder may have lost Taj Gibson in free agency, but they inked deals with Patrick Patterson and Raymond Felton in addition to bringing back Andre Roberson. Oklahoma City is by no means the same team that took Golden State to seven games in 2016, but the Thunder are certainly a team to keep an eye out for in the West. Patterson provides some more versatility in the front court, bringing a three-point shot that neither Enes Kanter nor Steven Adams can match. Felton’s prime is also certainly behind, but the crafty veteran is a solid backup that can be inserted whenever the reigning MVP needs a breather. Westbrook and George have the potential to be one of the best duos in the league. And although it may just be for one year, this upcoming season looks promising for the Thunder. The Timberwolves will be an entirely different team this upcoming season. The first major move was the trade on draft night that sent Zach LaVine, Kris Dunn and the No. 7 overall (Laurie Markkanen) to Chicago for Jimmy Butler and the No. 16 overall pick (Justin Patton). 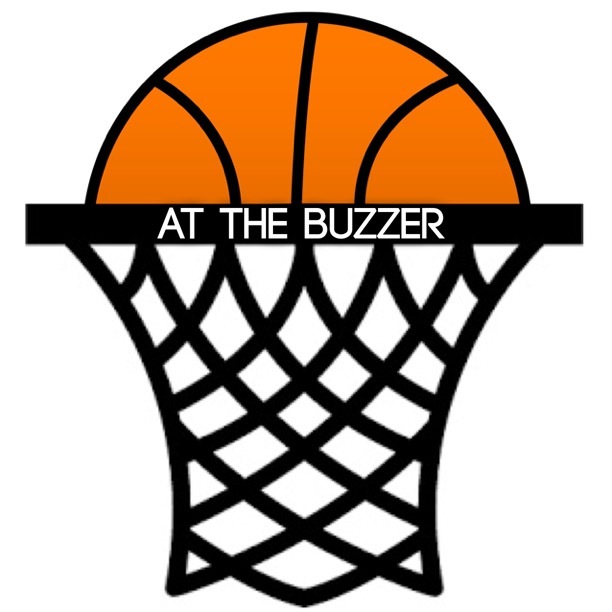 Butler is an elite scorer who can get the Timberwolves a bucket whenever they need one. He’ll fit in perfectly alongside Karl Anthony-Towns and Andrew Wiggins. Next came a trade that sent Ricky Rubio to Utah in exchange for a first-round pick, followed by the signing of Jeff Teague. Teague’s passing isn’t nearly as refined as Rubio’s, but he brings more offense to table. Minnesota followed that up by signing Taj Gibson, a veteran big man who could even find his way onto the starting lineup if the Timberwolves choose to move Gorgui Dieng to the bench. Finally, Minnesota ended its summer transformation with the acquisition of three-time Sixth Man winner, Jamal Crawford. Crawford provides a legitimate scoring option off the bench – something the Timberwolves desperately needed. It’s eat-or-be-eaten in the West, but Minnesota has emerged as one of the biggest threats in the jam-packed conference. All signs point towards the Timberwolves making the playoffs for the first time since 2004. San Antonio had high hopes this summer. The Spurs took aim at players like Chris Paul and Paul George, but their limited cap space made it nearly impossible to strike a deal. Instead, San Antonio signed Rudy Gay, a past-his-prime former all-star that’s merely a consolation prize in the Paul George sweepstakes. And despite re-signing Pau Gasol and Patty Mills, the Spurs saw the departure of Dewayne Dedmon and Jonathan Simmons. With teams like Houston, Minnesota and Oklahoma City making ground-breaking changes, San Antonio only moved laterally. 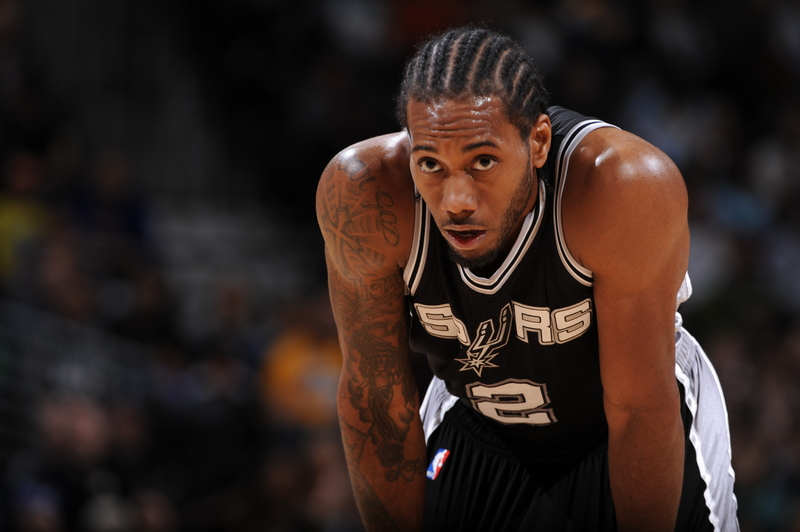 The core of Kawhi Leonard, LaMarcus Aldridge and Danny Green is still in tact, but one has to wonder if that’ll be enough in the West. Age is taking its toll on Tony Parker and Manu Ginobli, and it shows against younger teams like Golden State. The Spurs will easily reach the 50-win mark for the seventh-straight season, but the future isn’t looking as bright in San Antonio as it once did. It’s winning time in Houston. The Rockets became immediate contenders in the West after acquiring nine-time all-star Chris Paul. The 32-year old floor general allows James Harden to slip back into the two spot and feast off the elite passing skills of one of the best pure point guards in league history. 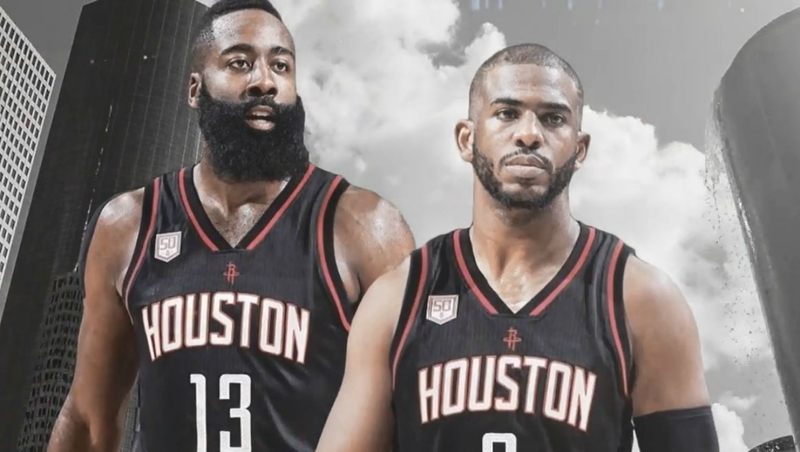 Houston may have given up a lot for Paul, but the Rockets still have plenty of solid contributors to ease the workload for the deadly back court duo. Eric Gordon and Ryan Anderson proved to be sneaky pickups, shooting an average of 38.8 percent from behind the arc last season. The Rockets also re-signed Nene, a 15-year veteran in the paint that’ll likely see a larger role after the departure of Montrezl Harrell. Houston also inked a deal with former Raptor PJ Tucker. Tucker is a strong 3-and-D player that’ll replace Sam Dekker and provide a solid all-around contribution on a nightly basis. And as if the Rockets aren’t scary enough, there’ve been multiple reports that Houston is the favorite to land 10-time all-star Carmelo Anthony. Whether or not the Rockets can give the Warriors a run for their money remains to be seen, but Houston is (at least) the clear runner-up in the West. Was there ever even a shred of doubt? The Warriors are as good a team as this league has ever seen, and they actually managed to get better this summer. Thanks to the generosity of Kevin Durant, Golden State was able to re-sign Shaun Livingston and Andre Iguodala. The two veterans provide crucial minutes off the bench, and many didn’t think it’d be possible to bring them back. But Golden State made it happen, and they still had a few tricks up their sleeves. The Warriors made the deepest bench in the league even deeper, signing Omri Casspi and Nick Young. Both players provide pure shooting to a team that’s already deadly from deep. Houston is certainly on Golden State’s radar, but the league belongs to the Warriors. With the Big Four of Durant, Steph Curry, Klay Thompson and Draymond Green still in tact, Golden State is the clear favorite to claim the No. 1 seed and ultimately hoist the Larry O’Brien trophy once again.